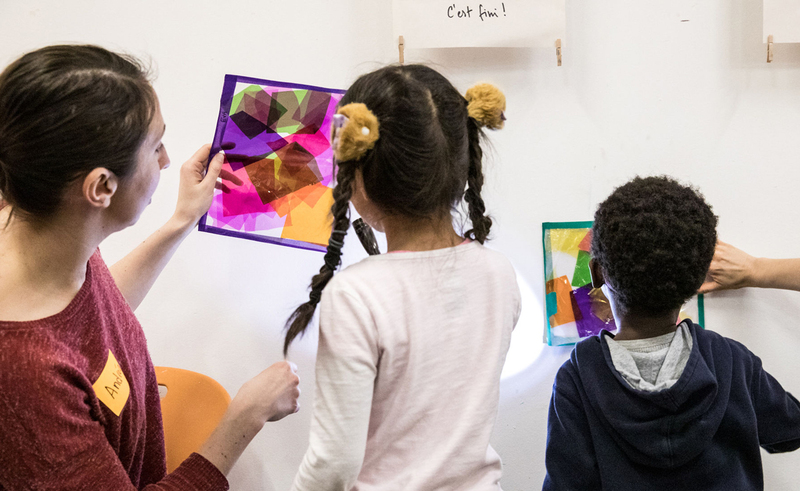 As part of Autism Month, the Montreal Museum of Fine Arts (MMFA), Autisme sans limites, the Fondation Les Petits Rois, Giant Steps School and the Gold Centre are joining forces to raise public awareness of neurodiversity. On April 14, the Museum is presenting a series of art activities for young and old alike, who are invited to discover what units us in spite of our differences. Open to the general public, the MMFA’s Neurodiversity Awareness Day is aimed at encouraging the inclusion of people living with autism spectrum disorder (ASD), for example, emphasizing that everyone has a role to play in our society. It is an opportunity to come together to combat the prejudice and social exclusion that affects some people who are “neurodifferent.” Through art, the creative activities offered celebrate individual expression and strengths. Throughout this special day, the Museum’s mediators and volunteers working with partner organizations will be on hand to support the participants and answer their questions. A quiet area will also be set up to provide a calm refuge. Neurodiversity is the positive recognition of the fact that human beings are neurologically diverse. This variability can manifest itself in various ways in those affected by an autism spectrum disorder, attention deficit and hyperactivity disorder (ADHD), and disorders such as dyslexia and dyspraxia. The concept of neurodiversity is intended to destigmatize people who are neurodifferent and recognize their potential within society. When: Sunday, April 14, 10 a.m. to 4 p.m.